(JULY 23, 2018) OKLAHOMA CITY - IBC Bank-Oklahoma is proud to announce the appointment of David R. Hardy as Executive Vice President, Commercial Banking. Hardy has worked in the industry for more than 15 years and has extensive experience in the region. "IBC Bank has played a key role in the success of local businesses for many years," Hardy said. "I am honored to join IBC Bank-Oklahoma and help expand our commercial banking outreach through Oklahoma and North Texas." IBC Bank-Oklahoma President and CEO Bill Schonacher said the expertise Hardy brings to the role will greatly benefit the bank. "The depth of knowledge and experience David has will be of great value to IBC and its communities," Schonacher said. "We're excited to work with David as he has had such great success in the industry and will help our bank add further value to our customers and communities." 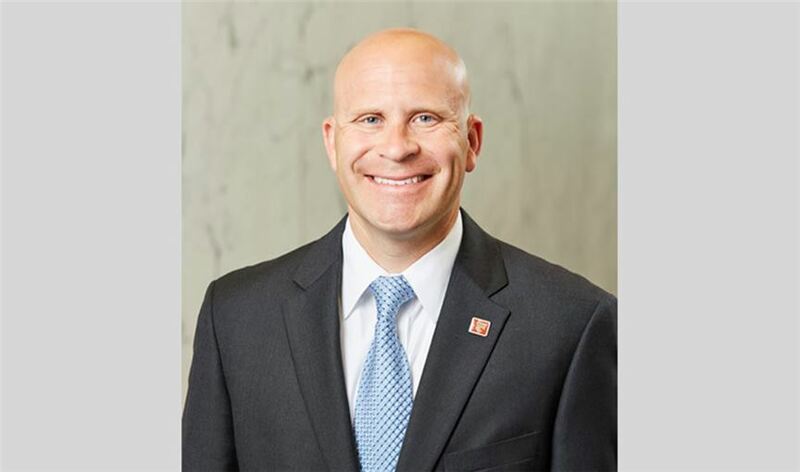 In addition to his role with IBC Bank-Oklahoma, Hardy serves on the board of directors for the Greater Oklahoma City Chamber of Commerce and Junior Achievement of Oklahoma, Oklahoma City Region. In 2017, Hardy was also named to Oklahoma Magazine's 40 Under 40 list. Hardy graduated from Kansas State University with a Bachelor of Science in Business Administration. He then went on to complete his MBA from the University of Kansas. IBC Bank-Oklahoma is a member of International Bancshares Corporation (NASDAQ: IBOC), a $12.1 billion multi-bank financial holding company headquartered in Laredo, Texas, with 188 facilities and more than 291 ATMs serving 90 communities in Texas and Oklahoma. In 2016, IBC celebrated its 50th anniversary since it opened its doors for business in 1966. IBC Bank's slogan "We Do More" reflects the bank's dedication to the growth and success of both the customers and the communities it serves. International Bancshares was ranked 19th on Forbes' prestigious list of 100 Best Banks in America in 2018. IBC Bank-Oklahoma has been serving the Sooner State since 2004 and has a retail branch network of 49 locations. BANCSHARES CORPORATION. More information is available at ibc.com.